Educational applications of computer technology can be traced to the early 1970s; and since then extensive analysis, research and publication has been undertaken. One organisation active in this field since 1983 is ASCILITE, the Australasian Society for Computers in Learning in Tertiary Education. During this period there have been significant changes in pedagogy and technology but few analyses have adopted a longitudinal approach to assess the ways in which the publications associated with such professional societies have provided guidance to the broader membership and community of practitioners. The purpose of this paper is to present an analysis of the proceedings from twenty one years of ASCILITE conferences in order to elicit the “trends, fads and futures” that have emerged from past initiatives. In doing so, the analysis provides a basis from which further research can be justified in terms of better understanding and implementing computer technology in educational settings. Sims, R. (2004). Trends, Fads and Futures: 21 Years of Educational Multimedia - Where Have We Got To, and Where Should We Go?. In L. Cantoni & C. McLoughlin (Eds. ), Proceedings of ED-MEDIA 2004--World Conference on Educational Multimedia, Hypermedia & Telecommunications (pp. 3755-3766). Lugano, Switzerland: Association for the Advancement of Computing in Education (AACE). Retrieved April 21, 2019 from https://www.learntechlib.org/primary/p/12060/. Hofstetter, F. (1985). Perspectives on a Decade of Computer-Based Instruction, 1974- 1984. Jounral of ComputerBased Instruction , 12 (1), 1 -7 . Isaacs, G. (1993). So what’s new? CALITE’83 to ASCILITE’93, in B. Lo (Ed) Reaching Out with I.T. Lismore, NSW: UNE – Northern Rivers. Koschmann, T. (2001). Revisiting the paradigms of instructional technology, in G. Kennedy, M. Keppell, C. McNaught & T. Petrovic (Eds). Meeting at the Crossroads. Proceedings of the 18t h Annual Conference of the Australasian Society for Computers in Learning in Tertiary Education. Melbourne: Biomediacal Multimedia Unit, The University of Melbourne. McDougall, A. & Dowling, C. (Eds) (1990). Computers in Education. Proceedings of the IFIP TC3 5th World Conference on Computers and Education. Amsterdam: Elsevier. Maurer, H. (2002). 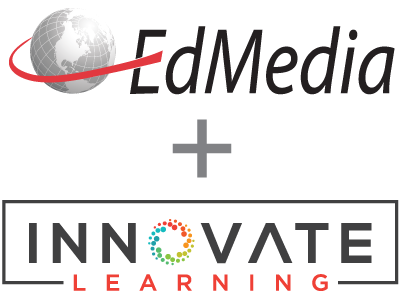 What Have we Learnt in 15 Years About Educational Multimedia? P. Barker& S. Rebelsky (Eds) Proceedings of EdMedia 2002: World Conference On Educational Multimedia, Hypermedia& Telecommunications. Norfolk, VA: AACE. Sims, R. (Ed) (1990). CBT Issues. Sydney, NSW: ASCILITE. Sims, R., Franklin, S. & Lindsay, M. (2002). Trends, fads and futures: Computers in learning in tertiary education, 1983- 2001, in A. Williamson, C. Gunn, A. Young & T. Clear (Eds), Winds of Change in the Sea of Learning. Proceedings of the 19t h Annual Conference of the Australasian Society for Computers in Learning in Tertiary Education. Auckland, NZ: UNITEC Institute of Technology. Wenger, E. (1998). Communities of Practice: Learning as a social system. [Online] Available: http://www.co - il.com/coil/knowledge-garden/cop/lss.shtml [29t h July 2002]. Williamson, A., Nodder, C. & Baker, P. (2001). A critique of educational technology research in New Zealand since 1996, in G. Kennedy, M. Keppell, C. McNaught & T. Petrovic (Eds). Meeting at the Crossroads. Proceedings of the 18t h Annual Conference of the Australasian Society for Computers in Learning in Tertiary Education. Melbourne: Biomedical Multimedia Unit, The University of Melbourne.